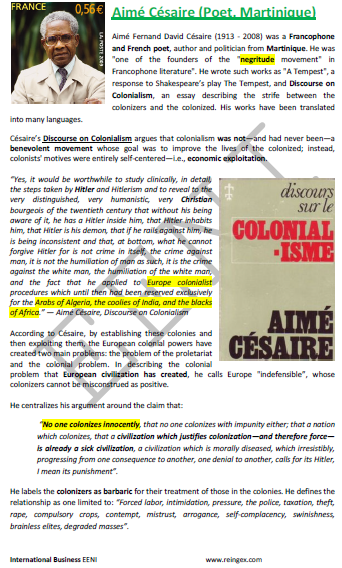 Syllabus of the Online Course (Subject): Aimé Césaire (Poet, Martinique). Learning materials in or Aimé Césaire Aimé Césaire Aimé Césaire. The Martinican Poet, Author and Politician Aimé Fernand David Césaire (1913 - 2008) is one of the leaders and founders of the “Negritude Movement.” In his works; he criticised the “humanist” elucidation of colonialism.